No decision you make regarding your nonprofit organization carries more importance than who is chosen to lead it. The members of your board of directors make up the governing body of your nonprofit and are legally accountable for its actions. Practically speaking, they are accountable to your supporters and beneficiaries to oversee the accomplishment of the organization’s purposes. The buck stops with them…at least it is supposed to! But that’s another article. If you are just starting out, who should be asked to serve? And, if your organization is already established, and vacancies on the board need filling, who should replace the exiting members? These are questions that are asked by clients of ours quite frequently. Understandably so. Concerns of competency, trust, experience and compatibility loom large and demand answers. In this article, I will attempt to answer these questions, looking first at the issue of installing an initial board, followed by a look at subsequent board positions. Initial board of directors. 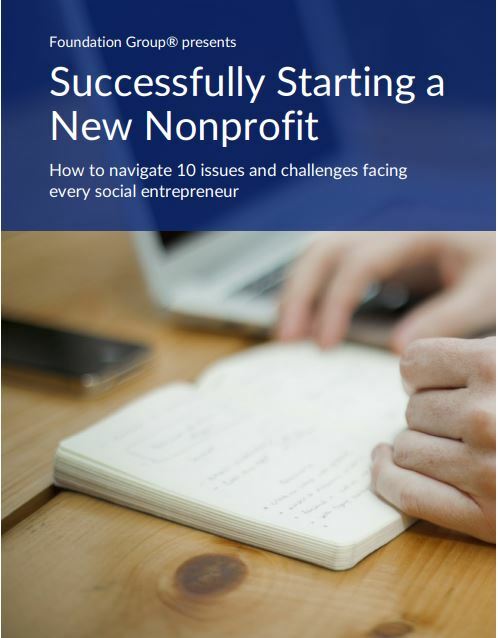 Let’s first establish the scenario of a typical, small nonprofit start-up. One or more people recognize a need and have a desire to establish an organization to meet that need. Research is conducted into the feasibility of the idea, various program plans are tossed around and, eventually, the decision is made to formally establish an actual entity. In the course of getting established, the first board of directors must be installed. Initial board members are usually invited by the incorporators to join the board. But who do you choose? First of all, you must select people who share your sense of mission. If they do not care deeply about the very purpose of the organization, their value is minimal. Secondly, they must possess a certain level of business or organizational competency. It is not necessary for them to have prior experience as business leaders, per se, but they should understand principles of good business practices. They should be long-game strategic thinkers. They should be willing to give of their time and money to see the organization’s mission accomplished. They should always understand that their role is governance, not management. Governance establishes mission and programs, while management actively works those programs under accountability to governance. And finally, they MUST be people of integrity. I don’t have to elaborate on that one, do I? One more point concerning initial board members: Not every person will have equal measure of the qualities outlined above. People are by nature more talented in certain areas. It is important to keep that point in mind as you appoint members and to shoot for balance. Board vacancies. Qualifications for successive board members are identical to those of initial board members. As vacancies occur, continue to keep the concept of balance in mind. A board over-weighted with visionaries will be all over the place. Likewise, a board that tilts toward execution will lack for ideas. The bigger issue regarding successive board members is related to the legalities. Specifically, every nonprofit should have bylaws. The bylaws are the internal rules of governance that the organization’s board is bound to operate within. A compliant set of bylaws will contain specific rules that spell out (among other things) the responsibilities of board members, as well as things like length of terms (1 year, 2 year, etc.) and the processes for removing and adding board members. It is absolutely critical that the bylaws are followed to the letter, lest there be grounds for a legal challenge by anyone so choosing to question the procedures employed. This is not optional! State corporate law, as well as IRS 501(c) requirements, demand it. An important corollary: Make sure that your bylaws are drawn up by someone who understands these issues. Odds and ends (or, who not to add). The last point above brings me to…well, my last point. We are often asked by those forming organizations whether or not they should add a lawyer or accountant to the board. Great question! Our answer usually surprises them: NO! That is, not unless you are choosing them because they first meet all the requirements laid out above and just so happen to be a lawyer or accountant. Never, ever put someone on your board because of those credentials. People get the idea that by having these professionals on the board, they will always have access to competent advice and, the thought goes, the organization won’t have to pay for it. It never works out that way. Plus, it is a potential conflict of interest. Legal and professional help should be independent in most situations. Hopefully this discussion helps give you a better understanding of how to choose the right people to help you lead. Having the right people is the best first step to successfully fulfilling your mission. I’m on the board of a non-profit in NJ, and the bylaws specify that there are only 4 board members. Shouldn’t there be 3 or 5 or some other odd number? Hi Glen, there doesn’t necessarily need to be an odd number of board members. The minimum requirement is 3 members, where the majority is not related by blood, marriage, or business dealings. The blyaws should, however, state what steps the board must follow in the event of a vote resulting in a tie. Your bylaws should have a vacancy clause that outlines the steps of filling a board vacancy. I would suggest reading through the bylaws and follow the steps outlined within them. If no vacancy clause exists, the current members of the board should meet to determine those steps. Should board members be from the location where the non-profit will be located? From a legal perspective, there are generally no restrictions on where you board members need to be located. It really comes down to what makes sense for your organization, and what will benefit its mission in the long run. 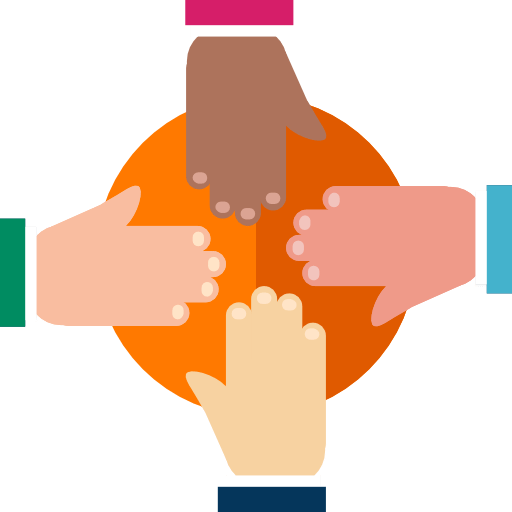 It’s possible that the nonprofit will have greater chances of success if the board is closer to the community, but that may also depend on the purpose of the organization. Can a non profit organization have paid employees? Absolutely! If a nonprofit gets to the size where it needs employees to carry out the day-to-day operations, the board can decide to hire employees. The main thing to keep in mind is that if a board member also wants to become an employee of the organization, they must recuse themselves from the conversation, and the other board members must determine the employee’s salary. You may also have to look into a payroll service provider to issue W-2’s for the employee’s tax returns. Our church had several board member resignations in the past month. We are now left with one board member. Is there any problem with himself calling for a special congregation meeting and following our constitution and by-laws to begin/complete the election of new board members? I understand we are not in compliance with NJ State law requiring 3 board members but we have 60 days to satisfy this requirement. Is this correct? In this tough situation, there isn’t anything wrong with the sole-acting board member calling for a meeting to fill the requirements so the church can meet state requirements. Following your constitution and bylaws is definitely the right way to go about replacing the resigned board members. In addition to your bylaws and state requirements, keep in mind that a nonprofit’s board is not in compliance if the majority are related by blood, marriage, or business dealings. I started up my non profit 3 years ago, it is really small right now and although the only like it in the state of Utah. Sounds silly, but one of my MAIN confusions through out the process is, the HUGE difference between Board of Directors and Officers. I am the Founder/President, I have a Vice President, Secretary, and 2 trustees. Is the Board of Directors oversee the officers and do you need both in the beginning? Thank you and so glad I found your page! Thank you! This is a common confusion. In most circumstances, the officers ARE board members, just a select group of them. Once your board of directors has been chosen, it is typical that the officer positions are elected from that group. For example, if you have a board of 7 directors, that may include a president, a secretary, a vice president, a treasurer, and 3 at-large directors. Most states require a president and secretary, and usually, that needs to be 2 different people. What’s important to grasp, though, is that you are not usually dealing with 2 separate groups. There can be exceptions, but usually, the officers are board members with extra duties. Hope that helps! What is the best strategy for finding / securing initial board members? It seems people say “We need this in our community” but don’t offer to help? When a board chair has been ousted through unanimous consent, can he call another meeting when he did not attend the meeting where he was voted out? Taking into account that a) all board members were properly notified of the voting meeting, b) the board chair is not a necessary member to satisfy quorum, c) the voting process was recorded in the meeting minutes, and d) any steps outlined in the Bylaws regarding board members were followed, the former chair no longer has the authority to hold an official nonprofit meeting. The nonprofit Bylaws should also contain information on how to fill the newly-vacant board position. It is best practice is to keep paid employees and board members as two separate roles. It is possible for a board member to also be employed by the organization, as long as they recuse themselves during any discussion or voting regarding the position. If you want this employee to also be a voting member, refer to the nonprofit’s Bylaws regarding the process to add new board members, and have the current board vote to confirm the new member. Is there a way to find the original by-laws used when an organization received their 501c3 status in the early 1990s? 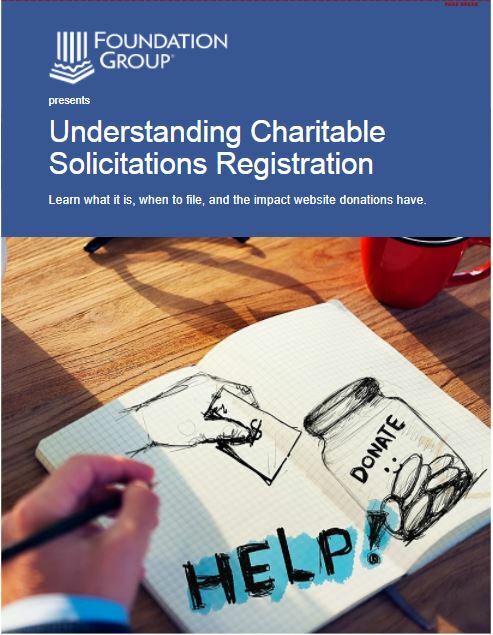 You may be able to acquire a copy of your approved 501(c)(3) application from the IRS. That package is public record and should contain corporate documents like the bylaws. Given that this is over 20 years ago, it is possible they won’t be able to find it, though. Good luck! I had a general question – Are Not-For-Profit Corporations board member’s salaries available for public request? In other words will the Department Revenue if this information out if requested? Depending on the size of the organization, a list of a nonprofit’s top employees, along with their salary, can be found on the organization’s Form 990, which is a required annual filing. In addition, the IRS requires a listing of current board members on Form 990, their title, address, hours worked per week, and any compensation paid, including expense accounts. Typically, board members of a nonprofit aren’t paid for board service, but may be paid as employees, assuming they occupy both roles. 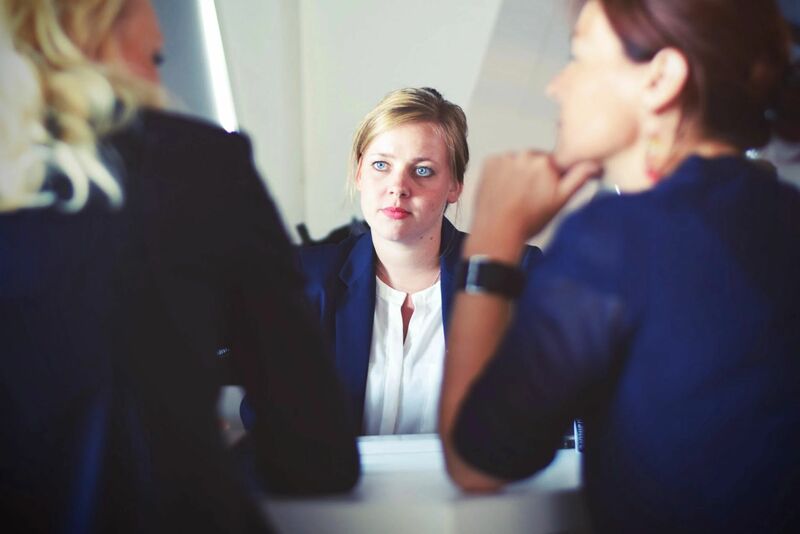 If you are paying board members strictly for board service, know that this is not considered best practice and, while not necessarily illegal, may open up the organization for heightened scrutiny. Now, I heard that those who are starting the organization can appoint themselves to be board of directors. Is that true? Initially, yes, in most circumstances. The first step in starting a nonprofit is a meeting between the initial board members, which should be comprised of three nonrelated people. It is at this meeting that the initial board of directors is installed and officer titles determined. Once installed, the bylaws should spell out the length of board terms, how new directors are nominated and elected, etc. How much influence does/should the Executive Director have in selecting new Board of Trustee members? In a recent Executive Committee meeting, a member told the ED that the selection and approval of new BOT members was his decision, so that he could have the board he wanted. I was surprised. Having been on the Goveernance Committee for five years I had never heard this, but maybe this was an unspoken agreement between the Chair and the previous ED. Typically, the majority of board members meet to discuss and vote on new board members. The selection and approval of board members should be stated in the nonprofit’s Bylaws. Current board members and others involved must abide by these Bylaws. While it common for EDs to have influence in who is considered, the ED shouldn’t be in control of the process. 1. In the State of Florida, 3 board members are required. We have 3 very good candidates for the board but I read that the IRS likes to see 5 or more. What are your thoughts on this? 2. My mother-in-law has been instrumental in helping this organization. She is a child psychologist and I think she would be an asset to the board. I read in the previous comments that it is okay to have a family member as long as they make up less than half of the board. For application approval purposes, would you recommend leaving off family members completely? 3. Once we obtain tax exemption status, when would the term year for the board members officially begin? Our fiscal year would be July through June as stated in our bylaws. 1. Three is rarely enough to really sustain an organization. The reason the IRS prefers larger boards has nothing to do with effectiveness, but rather their desire for diversified control. Your reason for needing a bigger board IS effectiveness and diversity of talent. 2. As long as family makes up less than half the board, it shouldn’t be a problem during the application process…though it may generate some questions. 3. The terms begin upon their installation as the initial board and should correspond with the incorporation date. Can you be on the Board of Director’s and a paid employee. Usually the answer is yes. But, it is an inherent conflict of interest and, therefore, not really a best practice. I realize with new and small nonprofits, it may be a practical necessity. Make sure a majority of the board is not related and not employed…and those non-employed board members should make all decisions regarding compensation of the dual status board member. A former board member was found guilty of a felony for accounting actions at her work place. Prior to this, she was a valued member of the community and in fact, a community leader. Our 501 (c) (3) board does not believe she should serve another term, but she is anxious to work with us. Is there a legal precedence for not allowing her to serve. We do not have anything in by-laws about staying on the right side of the law! Unless another term is guaranteed in the bylaws, simply do not nominate and approve her for another term. Also, your bylaws may include a provision for removing a board member. My wife and I are starting up a non-profit for Fibromyalgia awareness in our community. There is no other such organization in our area. We have some questions as to who would be "good" board members. I saw your post above about selecting "people who share your sense of mission." Are Doctors that may deal with this good people to have on a board for a cause such as this? Would we be better off trying to find other individuals that have Fibromyalgia? My wife is also concerned about the "board of directors" selection because the board usually appoints the CEO if we're not mistaken and she wants this to remain her/our foundation. We are also working on grant requests right now. Is a request letter the best route or is the grant form better. Sorry for all the questions. Thanks in advance for any suggestions. Wow, lots of questions…First, choose board members who are best able to serve the organization. Consider time, talent and (most importantly) a dedication to the cause. It certainly doesn't hurt to have professionals and/or sufferers, but don't limit the possibilities. As to remaining "her/our" foundation, that simply isn't possible when you are talking about a charity. There is no ownership of a nonprofit, so this is something you simply must understand going in. I suggest reading our article, Who Really Owns a Nonprofit. With the grant request, you are probably quite premature on that part. Without a functioning organization with a little bit of history under your belt, grants are a long-shot at best. Focus instead on cultivating a fanbase of donors. That will serve you better in the long run anyway. I was wondering, can the board chairman also be the ED of the non profit? Also what is better practice a Board of advisors or a Board of directors? It is possible, but not necessarily a best practice. This is most common in small startup nonprofits. Understand that you have an inherent conflict of interest as both a paid employee and board member. Any actions by the board affecting your position as employee requires your recusal. As to your second question, you must have a board of directors. That is your governing body. A board of advisors is usually a group of nonvoting individuals whose role is to provide counsel to the board. Can a foundation member be part of a non-for-profit community organization? Shouldn’t be a problem under most scenarios. I am on the Board of Trustees for a non-profit childcare center. We’ve had some turmoil in the center the last couple weeks with the Executive Director and in the last 3 days we’ve managed to lose both our President and Vice President and are now below our minimum 7 members. Question is what do we do now?! Get somebody (somebodies) added to bring you back to at least 7. Your bylaws should contain provisions for adding new board members. Typically, an existing board member will nominate a replacement(s) to complete the remainder of the terms for the open slots and the entire board will vote in approve or not. Hi, I am in the process of starting up a non-profit. The problem I’m having is that I don’t know enough people to be board members, and the people I do know either don’t have the time or think I’m crazy. My non-profit will help needy kids in my county so I believe it will work. Do you have any sugestions on how I can find people to join me?I know this sounds like I can’t do it but I am determined to make it work. This is admittedly a tough problem, but one that must be resolved if you are to proceed with a new nonprofit. Do you have a business plan? Are you truly able to articulate the issue you are trying to address and the plan to get it done? The less prepared you are, the harder it is to recruit help. Being a 501c3, when a vacancy is filled on the board, is there any requirement to notify the IRS other than on the annual tax return? Good news…Both the state and the IRS can be notified when annual reports are due. My sister and I have been assisting with the setup of a 501c3 non-profit organization for children that has the initial support of a church. The pastor of the church recently commented that two family members cannot both be on the board. Is this true? I believe he has other reasons for saying this and cannot find anything related to this online. Can you assist? It IS possible for family members to serve on a charity’s board together, provided that the family members make up less than half the board. For example, if you and your sister are both on the board, you must also have at least 3 other, unrelated individuals. Another key issue is that your bylaws should have a provision that the board cannot form a legal quorum where those related individuals make up a majority of board members present at a board meeting. Hope that helps. Is there a rule that if spouses are on the board that when they vote it counts as only one because they are related? No, there isn’t. As long as the related board members do not constitute a majority of those eligible to vote at a board meeting, both votes count. Our rowing club has 501 (3) (c) status and caters for rowing across all segments of our community including a very active junior program. There have been recent changes to the Board of Directors as per the Byelaws and as a result there are now 4 junior club members on the Board (of 14). These junior Board members are all minors under the age of 18. Our Board also includes several parents of junior rowers. It seems to me that the age of the juniors would not qualify them to act as Board members as described by your article, notwithstanding their overall experience etc, etc. Is there an ‘adult only’ requirement for Board membership of a 501 (3) (c) organization, please? It is pretty much a given that one must be “of age” to be a board member. While the IRS doesn’t really get involved here, state corporate law certainly does. Board membership brings with it certain liabilities that minors are not legally able to shoulder. I highly recommend fixing this problem quickly. One thing that you could do is allow these minors to be nonvoting, advisory members. That way they can contribute to governance without being in violation of the law. Good luck! Can board members receive reasonable pay for service? In other words, how do you draw a salary if you start and run a non profit organization? Another site says board members are volunteers and rarely paid. Can’t support a family like that! Good question, Gina. The website you are quoting is mostly correct. Nonprofit board members are usually volunteers and rarely paid. It is not really a good practice to compensate board members beyond expense reimbursements. That doesn’t mean, however, that a board member cannot also be a paid employee. Their pay is for their service as an employee, not as a board member. In fact, it is critical that someone who is occupying both roles becomes adept at separating their duties. And, as a board member, that person cannot have any say in their compensation…or even whether or not they are hired. Due to conflict of interest rules, the other board members must make that decision. As Linda says, most timely and informative. The news letter is a great source for those of us just starting out with implementing the first stages of the board. Thank you so much for sharing your wisdom with us all. We are in the midst of filling vacancies on our initial board right now so your article is not only very informative but it is timely for us. I always forward yout articles to our board members as another means of self evaluation toward improvement. Thank you! Thank you for your advice– Very helpful in this preparatory time in the selection of directors and initial meeting with them. Cut to the chase type of material– kudos!